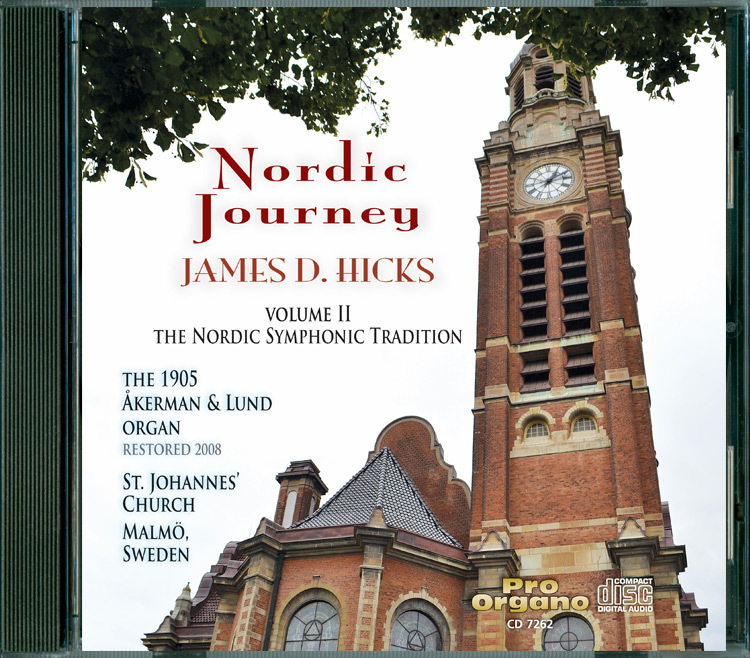 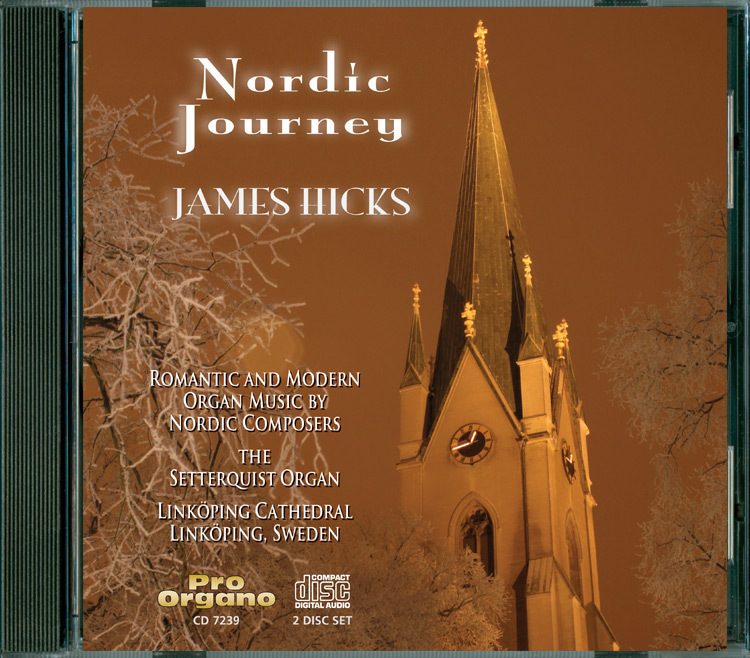 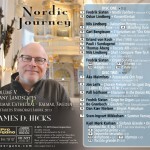 James D. Hicks continues his quest to discover hidden organ music treasures from Nordic composers, and to inspire new organ music from leading Nordic composers of the current age, in his fifth volume – a double CD – in his NORDIC JOURNEY series. 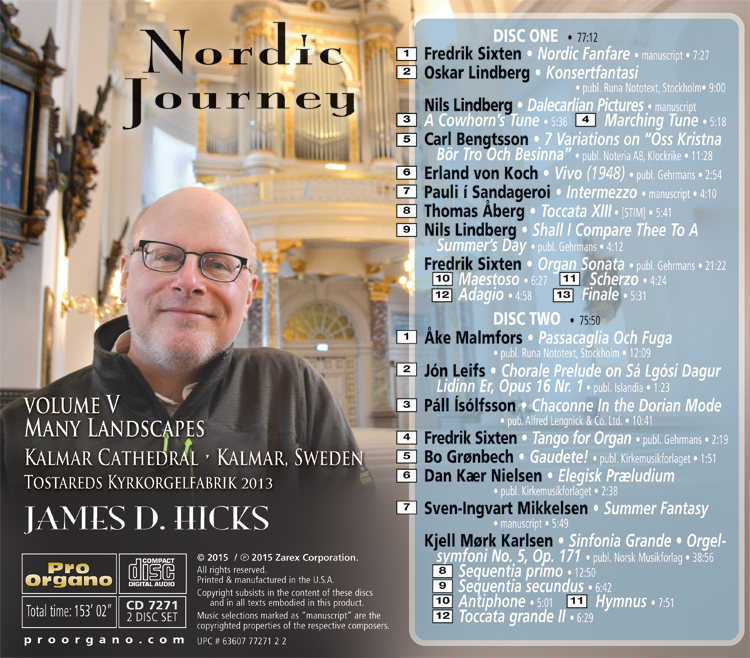 The venue for Volume 5 is Kalmar Cathedral. 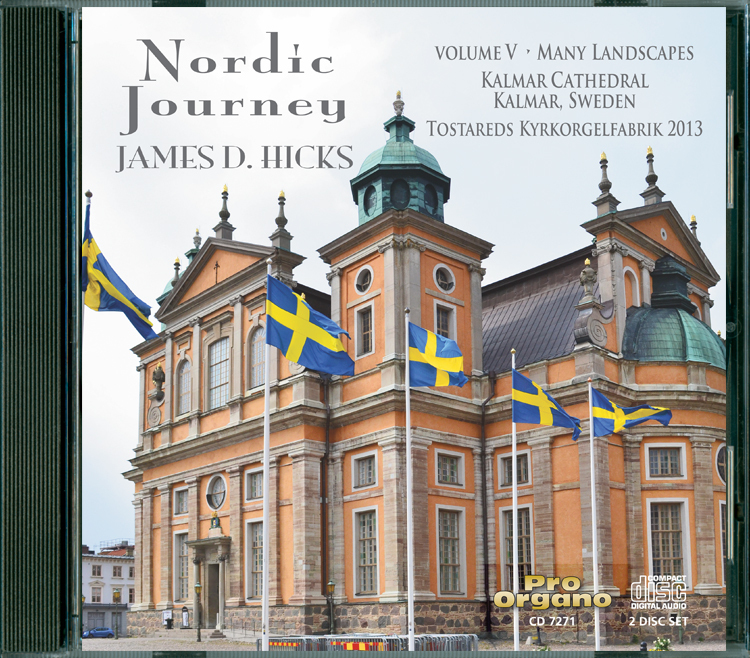 Kalmar is a city located on Sweden's southeast coast. 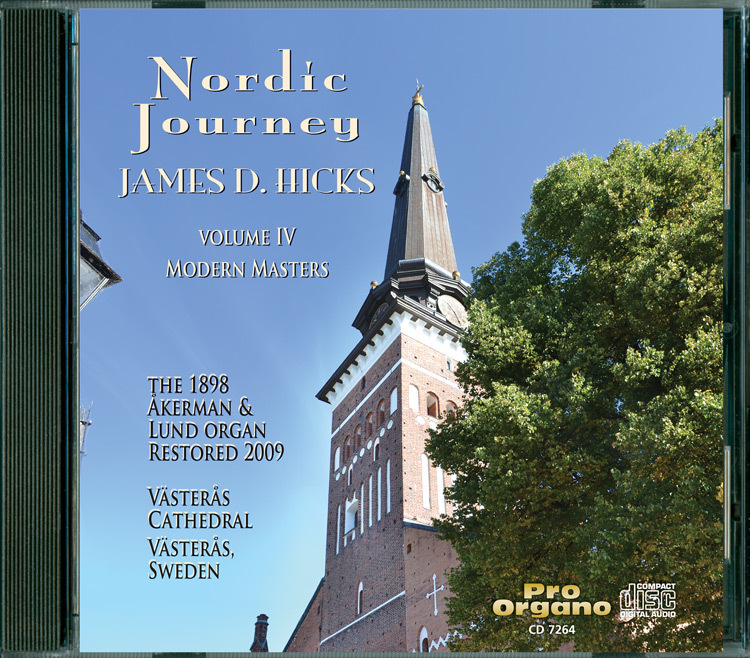 The organ originally dates back to 1883, and in this most recent 2013 restoration by Tostareds, the gamut of organ literature from the Romantic period to the present day is conveyed with clarity and majesty. 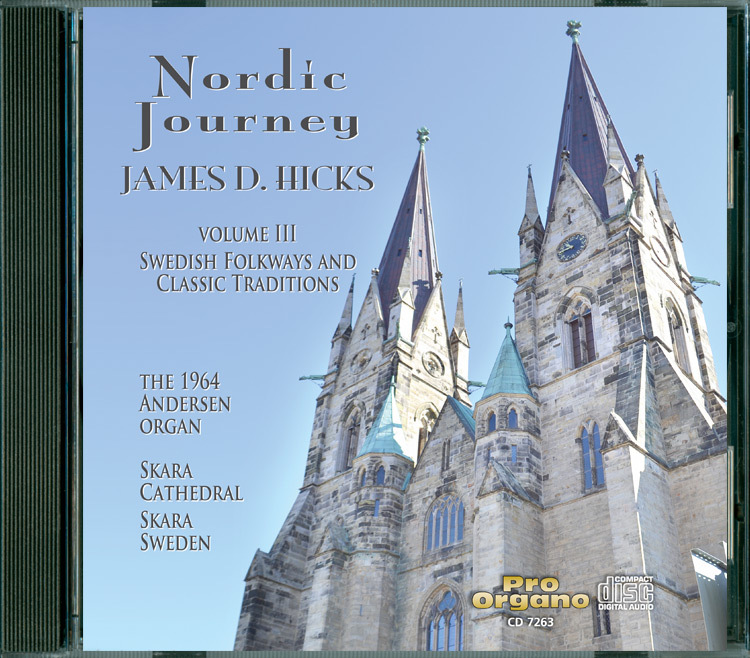 Two Discs – 25 Tracks.